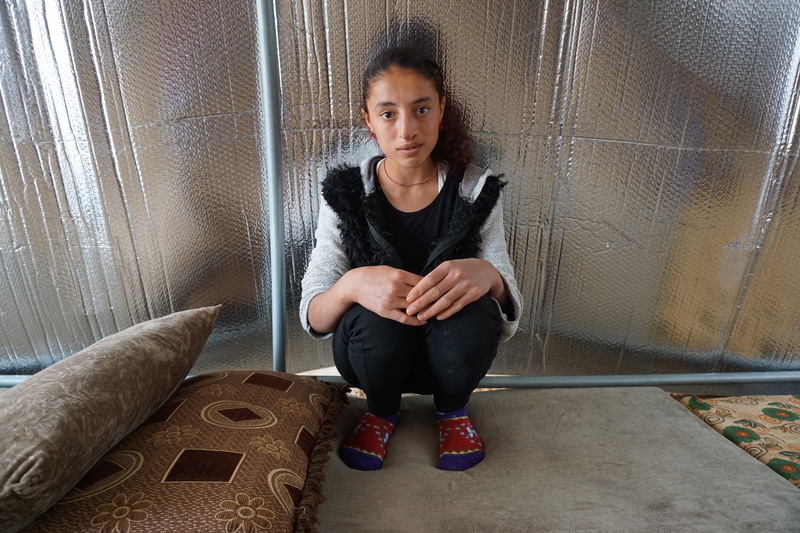 Nasima is a 17-year-old Yazidi girl from Sinjar region. She was born with a congenital defect in her cleft lip and palate. At the age of 2 months, she underwent surgery, which was not successful and Nasima’s speech could not develop properly. She felt stigmatized by her disorder and refused to go to school. In August 2014, Nasima and her family had to flee their home due to the invasion of ISIS. 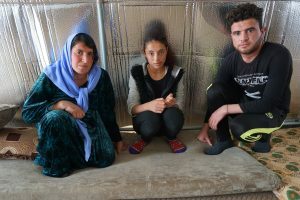 While fleeing, their car was destroyed by ISIS fighters gun fires, but fortunately, the family managed to escape safely to Sinjar mountain. They spent there 11 days, greatly fearing for their lives. After more difficult days on the road, they finally found a shelter in an IDPs camp in Iraqi Kurdistan. Since then her world reduced to a tent. Because of her speech disability, Nasima is shy and prefer not to speak nor participate in the social life of the camp. Her parents, with 8 other children to feed, could not afford to pay for the expensive surgery that would correct her defect. With the financial help of the French Organization for the Aid of Youths with Disabilities and People with Handicaps (Association pour l’Aide aux Jeunes Infirmes et aux Personnes handicapées), she underwent the first of a three stages surgery. She recovered well and in a few months, she will have the second stage of the surgery. We hope this treatment will be successful and that Nasima will soon be able to have a normal life.